Dive into the turquoise waters surrounding this 5-star luxury resort’s private island in French Polynesia. 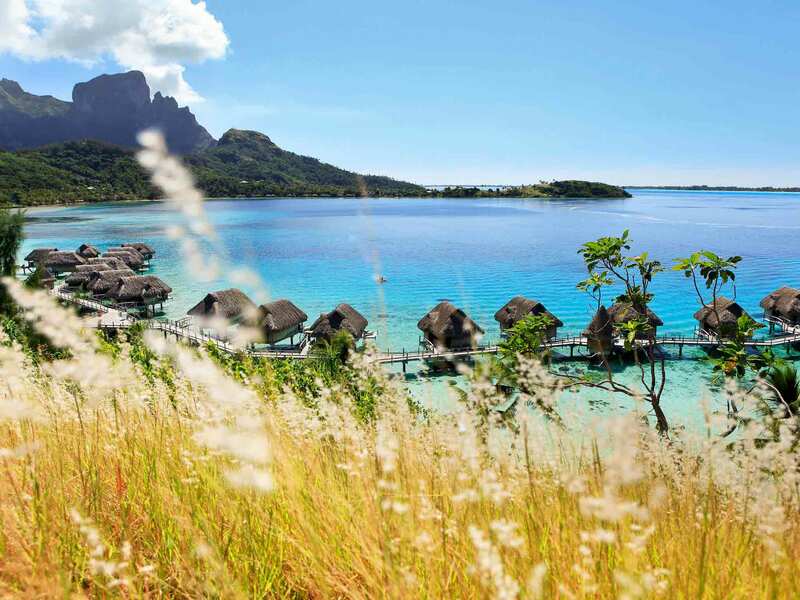 This boutique hotel epitomises the French art of elegant hospitality and boasts spectacular panoramic 360° views of Mount Otemanu, the Bora Bora lagoon, the islands of Raiatea and Tahaa. 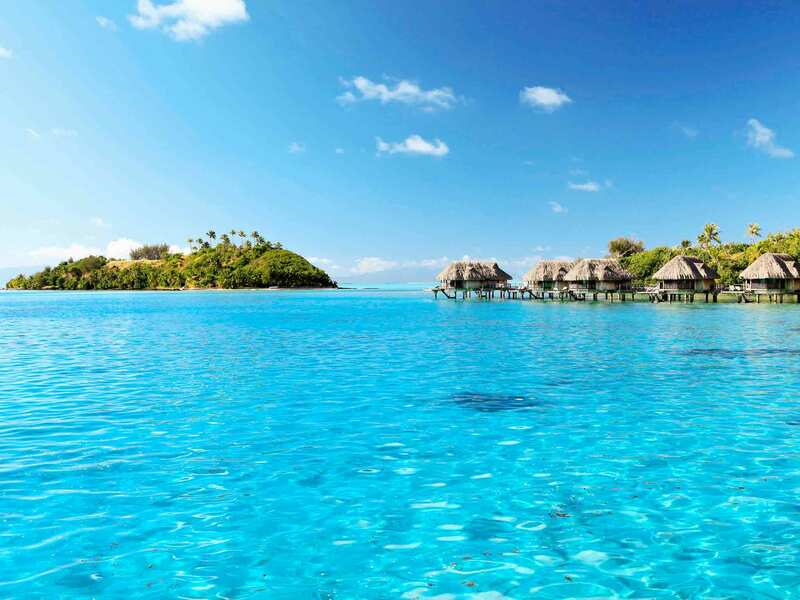 Enjoy a lagoon tour swimming with rays, sharks and ending with a Polynesian picnic. Indulge in a romantic evening with sunset Champagne followed by a gourmet dinner show on the beach, a perfect location for celebrating a gay honeymoon. A private bungalow with a lagoon view. A private luxury overwater bungalow with direct lagoon access. A luxury bungalow with ocean views, a terrace, direct lagoon access, an outdoor shower, and a number of luxury amenities. A luxury villa with panoramic lagoon views, a terrace, and outdoor whirlpool, sundeck, direct beach access, club amenities, and a rain shower. This private island resort and spa is an ideal location for a secluded gay honeymoon. Choose from 4 accommodation options, including overwater bungalows. Enjoy the rustic decor and spectacular views as you lounge on the beach, or explore the island through one of the activities provided by the resort. Housed in an impressive chapel pandanus restaurant, this restaurant offers breathtaking panoramic views of the lagoon and Mount Otemanu Bora Bora. Fine cuisine and wine cellar complete this enchanting setting. Located on a panoramic terrace (360° lagoon view), the Mako bar provides the perfect place to relax at any time of the day. Local and international cocktails as well as a variety of cigars are on offer.